Cindy Crawford is an icon in the fashion world. From her signature full brows to her much-coveted upper lip mole, the former supermodel didn’t just walk the runways, she ruled them. There is no model more well-known and more sought out than the living legend herself. In fact, when it comes to beauty and fashion, she doesn’t just wear the trends. No, she sets them. So of course when Crawford noted a Charlotte Tilbury eyeshadow palette as an essential in her everyday beauty routine, it was only a matter of time before we didn’t just eye up this eyeshadow palette, we made it a must-have! See it: Grab the Charlotte Tilbury Luxury Palette for $53 available at Violet Grey! Not your style? Check out additional Charlotte Tilbury and even more makeup options at Violet Grey! 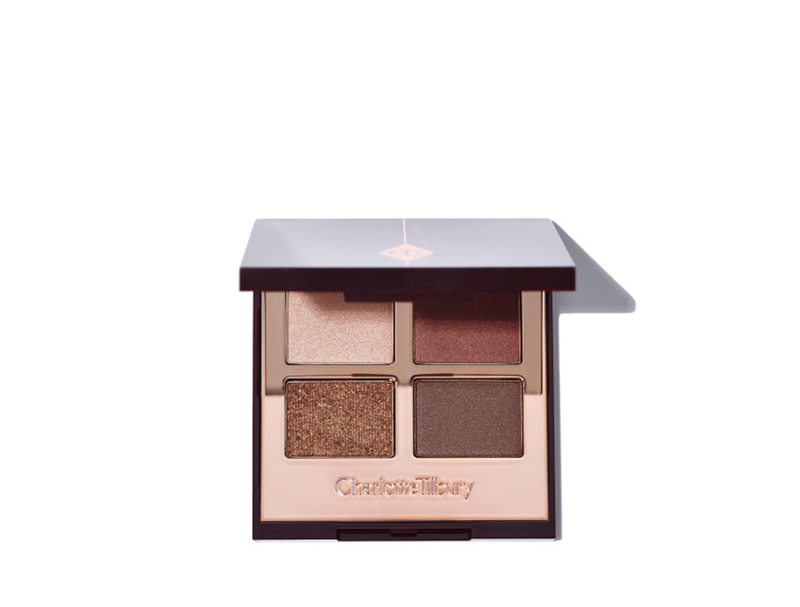 The Charlotte Tilbury Luxury Palette is an easy-to-use eyeshadow quad that offers big results. With five different color combinations available, this palette offers universally-flattering options that include shimmer and matte finishes. Each option is as soft, subtle and striking as the last, too! From browns to purples and even rose golds, this palette delivers a natural effortless color for effortless beauty — just like Cindy Crawford. Demonstrating how she uses this palette, Crawford gave a tutorial with a little trick for eye depth. When looking to enhance her brunette gaze, Crawford looks to the earthy brown shades featured within Tilbury’s palette to contour her eye sockets. Not only did we find the ideal product to add eye depth, but we got a lesson straight from a supermodel on how to do it! Duping a celebrity’s signature style has never been easier, as Crawford actually showed Us how to do it one-by-one. Plus, with a total resurgence of all things the ’90s on the up-and-up, whose word is better to take than the ultimate ’90s girl, herself? No one, of course! To achieve the smokey-brown hue that Crawford mentions, we’d highly recommend opting for the Dolce Vita, Golden Goddess or even the Sophisticate, option. 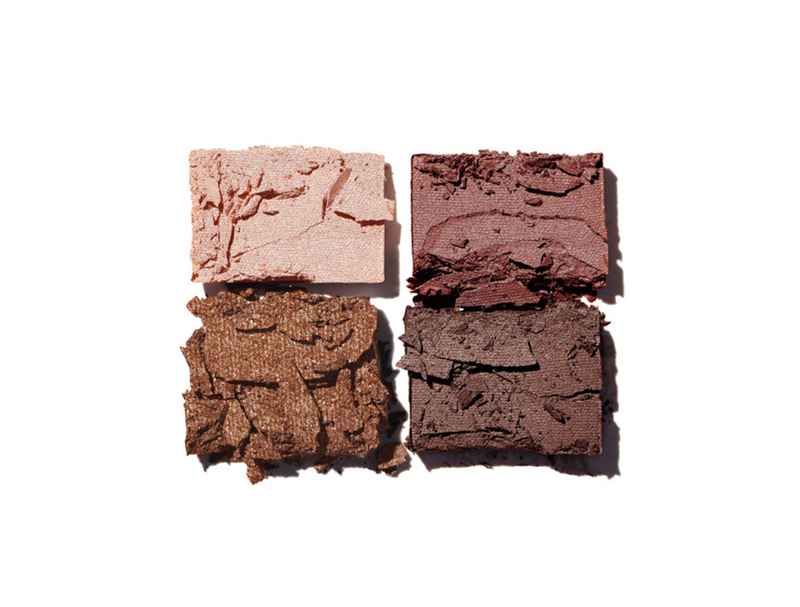 All three of those palettes offer a range of light-to-dark brown hues that can similarly recreate the look to perfection. For a more dramatic look and those confused at where to start, let us offer a little pro tip. Begin with one of the lighter hues and use that as the base. Cover the entire eyelid with this light shade. Work the way to the crease as Crawford said with one of the medium-to-dark hues. Gradually blend that into the eye crease to create that smokey-brown look that Crawford mentioned. Take the second color and with a light hand, blend that all over the eye to mix all three (or four!) colors together. Look at that, supermodel-status in a matter of seconds! It’s no wonder Crawford couldn’t resist the glitz and glam of this dazzling palette. With velvety-soft formulas that leave eyes stunning and shining all day and even all night long, it makes going from work to play a breeze. With four interchangeable palettes up for grabs, there is shade, color and almost even a palette for every preference. For those looking for more of a subtle end result than striking, this little luxury has options too! Go ahead and opt for the same process but with the Pillowtalk or Uptown Girl palettes. The Pillow Talk features more of peachy-keen shade and is topped off with gold-hued tones, while the Uptown Girl option is more shades of grey. Either way, each Charlotte Tilbury palette is just as amazing as the last. Tilbury is the celebrity favorite makeup artist who has worked miracle after miracle on A-listers from Kim Kardashian to Kate Moss. It’s as if anything she touches, or in this case designs, is nothing short of magical. Go ahead and call her the fairy godmother of makeup! When looking to achieve that same glitz and glam of Hollywood, there is no better option than this Cindy Crawford-approved palette. After all, they don’t call her a supermodel for any ole’ reason.